(MEXICAN MANUSCRIPTS.) Salvatierra, Juan María de. Request for aid in establishing the first permanent mission in the Californias. (SCULPTURE.) 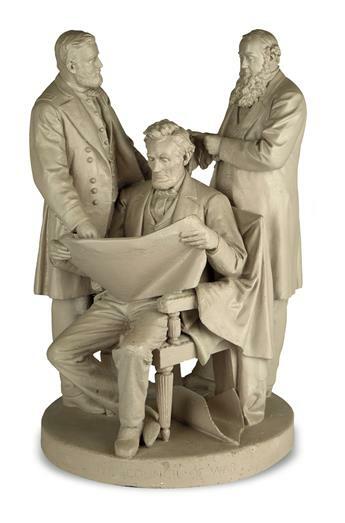 [Rogers, John; sculptor.] The Council of War. (NEW YORK.) 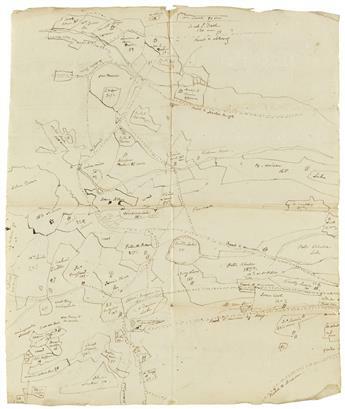 Family papers of William Wilson of Clermont, NY, close associate of the Livingston family. (NEW YORK.) 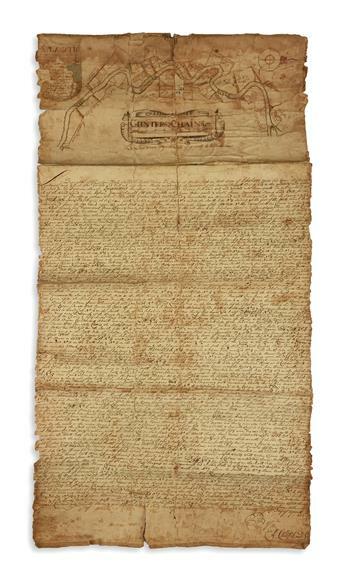 Large collection of Kniskern family papers documenting the early Palatine German settlers of Schoharie County. (CONGRESS.) Holten, Samuel. 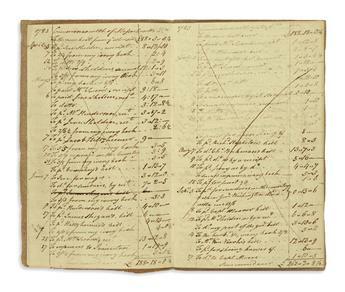 Accounts of Expenses while Attending Congress--including a dinner with General Washington. (MEXICAN MANUSCRIPTS.) 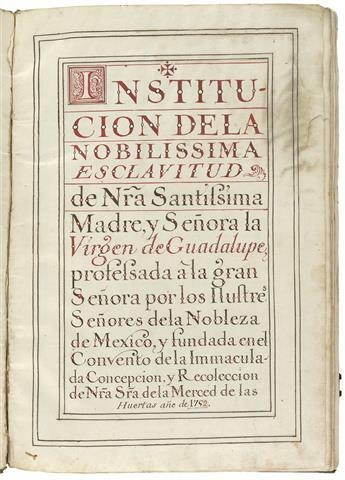 Libro de la Nobilissima Esclavitud de Nra Señora de Guadalupe. (AUTOGRAPHS.) 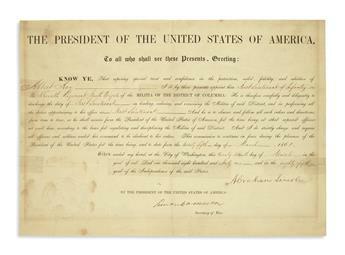 Commission for a militia officer signed by Lincoln shortly before the war. 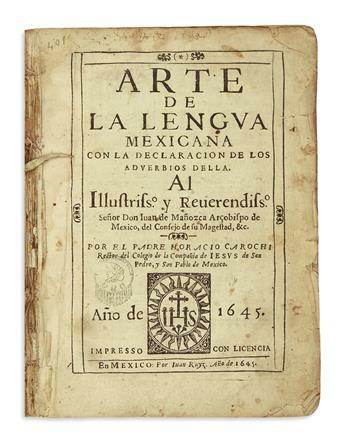 (MEXICAN IMPRINT--1645.) Carochi, Horacio. 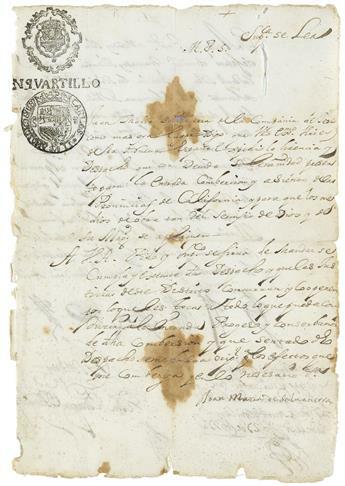 Arte de la lengua mexicana con la declaracion de los adverbios. (MORMONS.) 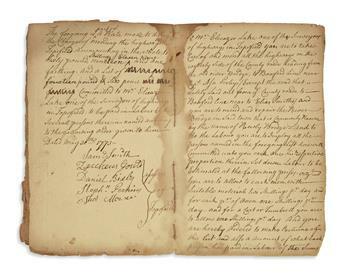 Manuscript notebook signed twice by Joseph Smiths great-grandfather Samuel Smith. 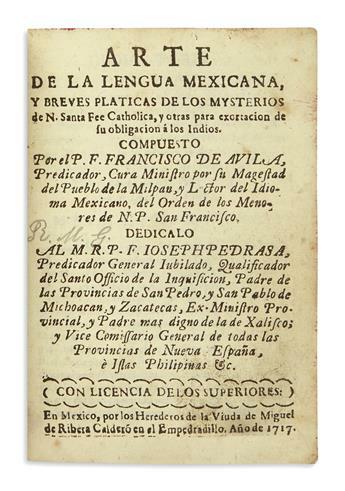 (MEXICAN IMPRINT--1717.) Avila, Francisco de. Arte de la lengua mexicana, y breves platicas . . . de su obligacion á los Indios.